Last night in New York City, British brand Bremont held a grand unveiling event downtown on Lafayette Street, where the brand showcased its newest collections. We will bring you that story later today, along with news of all of the collections. In the meantime, though, we bring you a close-up look at one of our favorites: a watch that was tested in incredibly frigid climate conditions by polar explorer Ben Saunders, who wore it on his Solo Trans-Antarctic Expedition: Endurance. 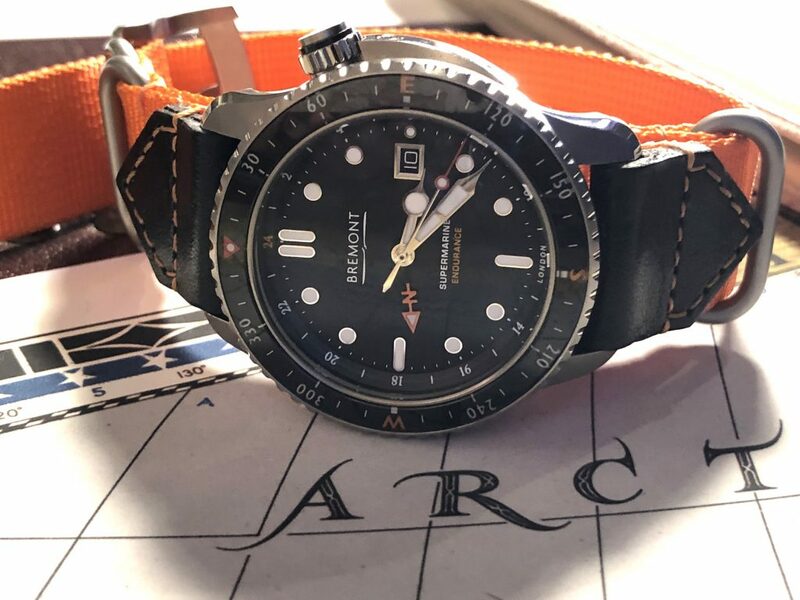 With a brand slogan that reads “Tested Beyond Endurance,” Bremont continually pushes the limits of sports timepieces and has partnered with modern day adventurers such as Saunders. 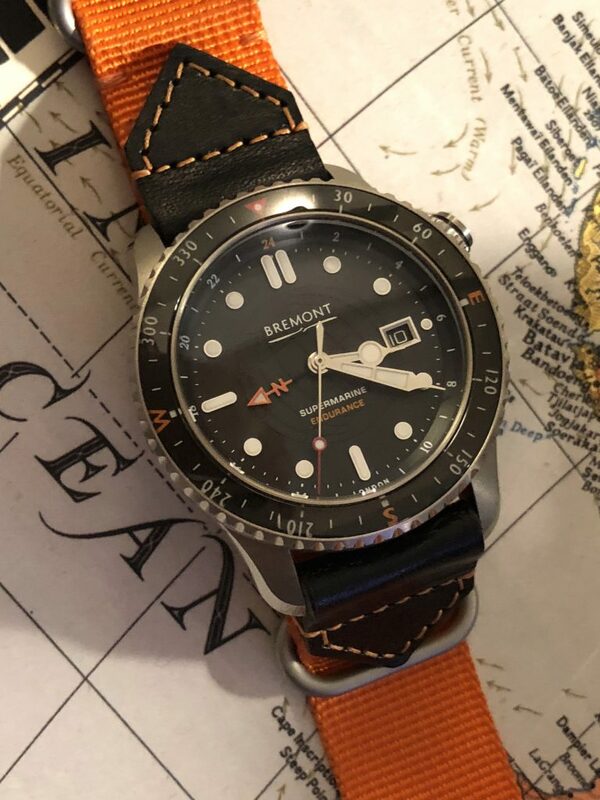 Bremont first partnered with Ben Saunders with the release of the Terra Nova in 2014 for what was the longest human powered polar journey in history, an 1800 mile trip. In what is a natural evolution for the brand and their partnership with Ben, the new Bremont Endurance set out in November 2017 to make the first solo unsupported traversing of Antarctica. The west to east trip from Berkner island to Ross Ice Shelf via the South Pole and the Shackleton Glacier was planned by Ben’s close friend Lt Col Henry Worsley, who nearly completed the journey prior to his passing in January of 2016. The trip itself was a 52 day endeavor and encompassed 1086 km to reach the South Pole. During the trip he encountered sastrugi which is hard packed wind blown ice. Under normal circumstances it is ankle to knee deep, on this particular expedition is was waist and shoulder deep. On the 28th of December 2017 he became the third person ever to complete the trip solo and the first person ever to complete the expedition without the aid of a food resupply or assistance. The name Endurance is an homage to Shackleton’s ship of the same name that he and his team completed sailed to complete the same trip which Ben completed solo. The name also parallels the brands mission statement, Tested Beyond Endurance. In keeping with the mantra Ben Saunders has successfully completed 12 expeditions to the polar regions, an accomplishment representing 7,000 km in some of the coldest most grueling environments on the planet. To assist Ben Saunders on this expedition, the Limited Edition Endurance has been engineered to be a tool rugged enough to keep up with the environment. The time piece for Ben must be worn on the outside of the his clothing as any exposure of his skin to the environment can cause serious harm. As a result the timepiece has been crafted by Bremont to withstand extreme temperatures as well as keep up with the rigors of transpolar exploration. The Limited Edition Endurance also serves as a navigational device. The GMT hand, black dial with the bi-directional rotating sapphire bezel features an orange compass and heading markers, complementing the north indicator on the GMT hand. The color pattern and layout are designed for added legibility in the white expanse of Antartica. The Bremont Endurance is a COSC-Certifed chronometer. The design cues are more than just lip service from the brand. Ben was deeply integrated in the creation of the piece. Having worked and tested the Terra Nova piece from 2014, he was intimately aware of the needs for his expedition. Chief among his requests were that the watch be crafted from titanium for his light weight and also wanted the Endurance to have an exhibition back to display the level of micro engineering that went into the creation of the watch. 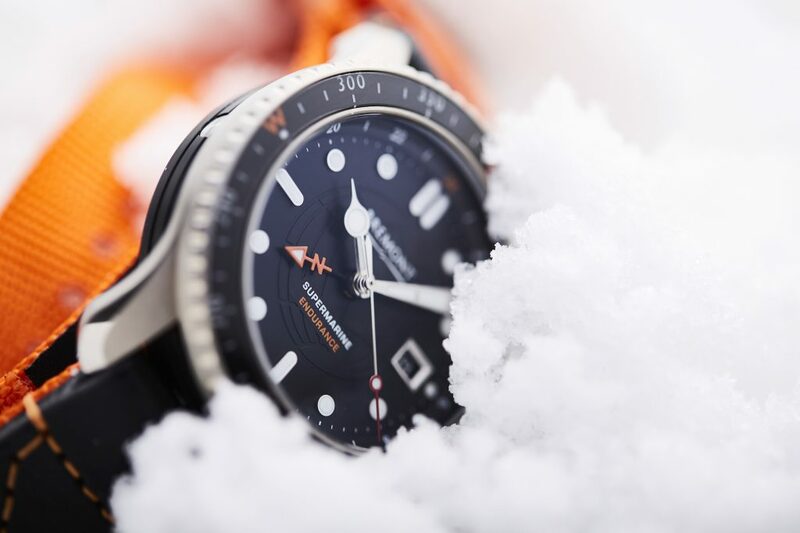 To meet those requirements Bremont engineered a new case back that is able to reach depths of 500m and still function in the extreme cold of the South Pole. The intelligence to create the thicker case back came from their work in a military project. 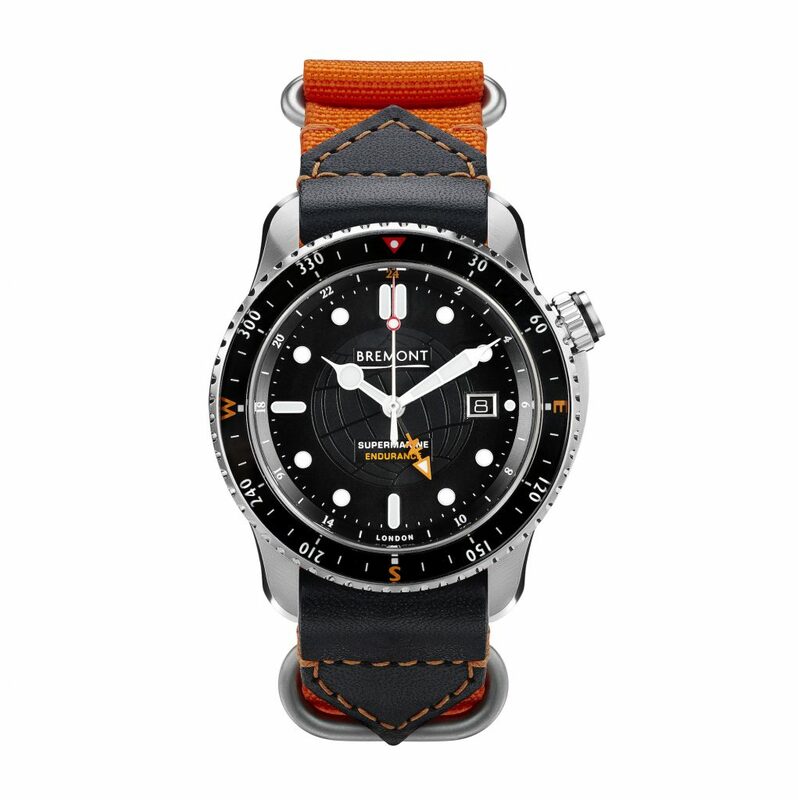 The Endurance will be a limited run with only 300 pieces being created and will be presented on an orange Nato strap. It retails for $6,395.